In this French comedy directed by Danièle Thompson and written by Danièle Thompson and Christopher Thompson, the story centers around a summer dinner party where ten acquaintances come together for food, wine, and friendship, while trying to cover up their own personal troubles. Consisting of mostly middle aged couples, if they are not having affairs, they are dissatisfied with their life, or going through family issues. With an all-star ensemble cast from France, the characters each have their own story which are intertwined with one another. I admit I'm generally turned off by "comedies" involving infidelity. There are always some dislikeable characters, the "comedy" isn't really funny, and rarely have I ever seen a good ending. 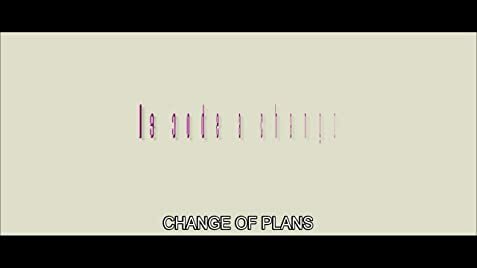 The poster for Change of Plans displayed multiple characters from the chest down playing footsies under a dinner table, which reminded me of a typical episode from Three's Company. Add to that, a film that boasts an "ensemble cast" usually suffers from a lack of focus and over-simplified storytelling. To add, this is a French film, whereas a subject like this is as typical as a British outdoor breakfast scene on PBS. While the centerpiece of this film is the dinner party amongst a group of friends and colleagues, a good chunk of the film is shown in flashbacks, revealing back stories of many of the characters, as well as the relationships that develop after the party. We are told these middle-aged characters have children, but we never see them—perhaps it helps the film keep its focus. We are introduced to ML (Karin Viard), a divorce lawyer, who hosts the dinner party. The guests consist of her teacher Manuela (Blanca Li) from her flamenco class, her husband Piotr (Dany Boon), and her younger sister Juliette (Marina Hands), a costume designer who is dating a much older man Erwann (Patrick Chesnais). There's also the kitchen designer Jean-Louis (Laurent Stocker) who designed ML's new kitchen, oncologist Alain (Patrick Bruel) and his gynecologist wife, Melanie (Marina Fois), who secretly wants to end their marriage and run off with her lover. Attorney Lucas (Christopher Thompson) arrives to the party with his wife Sarah (Emmanuelle Seigner), who is Piotr's old college flame. An unexpected guest is ML's father, Henri (Pierre Arditi), who has had a strained relationship with Juliette ever since he had run off from the family. Thompson manages to keep the stories working together logically. When characters change, it's realistic. The film moves at a leisure pace, but is always interesting thanks to the film's characters, dialogue, and occasional poignant surprises. Admittedly, those who already have problems with talky French films with subtitles will not have their minds changed here. I enjoyed the zigzag table conversations and different topics that go off tangent. I liked how the film didn't try to be too comedic. There are some great emotional scenes, such as the ones between Henri and Juliette. The actors and actresses all bring fine performances. It's true that these are not stories I normally gravitate towards, but the film's little surprises, wit, and characters made the experience more than palatable. French visa # 118494 delivered on 23-1-2009. The recipe of Roman Polanski's bigos, the meal used in the film, is given.